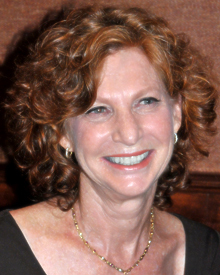 Nancy Mazarin is a Nutrition Consultant with a private practice in Great Neck, Long Island. She has a master’s degree from Columbia University and is a Registered Dietitian. Once credentialed, she opened her practice to the Long Island Community. She has practical every day solutions from over 30 years of working with Long Island health professionals and patients and a full spectrum of medical conditions. Have you been diagnosed with medical conditions such as Diabetes, Cardiovascular disease, Hypertension, Reflux or Irritable Bowel Syndrome? Whether Long Islanders are facing medical challenges, weight management issues, or simply wish to improve your health and well-being, the benefits of personalized nutrition counseling cannot be underestimated. Every patient has unique dietary issues specific to them. Nancy works with each individual to identity these factors and help guide them to achieve their goals. She has established her reputation on Long Island as an expert in nutrition therapy by helping patients achieve years of lasting results. Nancy knows that a SUCCESSFUL nutrition plan has to be personalized. It has to be about YOU! As those changes take hold, you’ll find yourself recognizing the enormous rewards of choosing a healthier diet . . . for a healthier life!